Were you out, enjoying yourself on a boat? Were you drinking while boating? If you are caught operating a boat under the influence of drugs or alcohol, you can be charged with boating under the influence (BUI) in Florida. If you were pulled over by an officer for suspicion of BUI and formally charged, it is time to seek immediate help from an Orlando dui lawyer. Lakes and channels in central Florida are very popular boating destinations for both residents and tourists. Especially during the spring and summer holidays, boaters are out in full force. In Orlando and Central Florida, many boaters enjoy the Conway and Butler Chain of Lakes, east on the St. John’s River as well as The Intracoastal Waterway (ICW). If you have been cited for BUI on any body of water, we can help. 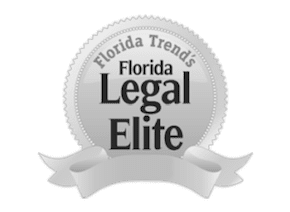 Our Orlando BUI attorneys can provide you with a free case review in office or over the phone so you can have your case evaluated by a member of our skilled legal team. We can determine the best way in which to approach your defense and use our strategic planning tool to begin structuring your case. In Florida, you can be convicted of a BUI if your blood alcohol is found to be above the legal limit of .08. If you have been charged with a BUI, it is critical that you seek experienced criminal defense representation. There are serious criminal penalties if convicted, especially if you were involved in an accident that caused serious bodily harm, injury or even death of another person. What makes Florida BUI charges especially difficult compared to a DUI charge is that an officer can board a person’s boat without any reasonable suspicion (in contrast to a DUI in which the officer must have reasonable suspicion to pull a motor vehicle over). Even if you have not had very much to drink or nothing to drink at all, dehydration, fatigue, and other conditions after boating all day can make you appear to be under the influence. With so much at stake, it is important that you make sure your attorney is knowledgeable and skilled with BUI defense cases. The penalties for BUI charges increase depending on whether or not you are a first-time offender, whether there was a minor in the boat, and what your blood alcohol level (BAL) was. At The Umansky Law Firm, our DUI lawyers also have extensive experience in BUIs and are former prosecutors with unique insight into the prosecutions strategy. We are available day or night, so please do not hesitate to reach out to us if you have been involved in a boating accident and alcohol may have been involved. Call us today at 407-228-3838 and we’ll set up an appointment to look over your case.